Digital marketing represents the coming together of technology and psychology in a unique fascinating way. If, at heart, a marketer’s goal is to create campaigns that speak directly to a given audience in a way that is both authentic and effective, technology offers powerful new ways to learn more about what an audience really wants, and what will really matter to them. In this blog I will discuss the main reasons small businesses need digital marketing, why influencer marketing is an effective marketing channel, content marketing and what to look out for in 2018. Digital marketing matters because it’s what your customers want and it’s where your customers are. Simply put, the old marketing playbook is broken and consumer behaviours have changed. Rather than tuning into traditional marketing channels – newspapers, yellow pages, and print ads – your customers are tuning out as they are deep in the world of all-things digital. So if you’re not represented in this space, it’s time to figure out why and how to get there (fast!). The majority of consumers are using online research to inform their purchasing decisions for small businesses. 75% of consumers are going online to research businesses and 4 in 10 consumers rely on social media or review sites as their research platforms. If you are not visible in these search engines (by tactics such as creating SEO-optimized content related to your business), you’ll never show up in search results when potential consumers are looking for your type of product or service. More than 60% of small businesses use digital marketing tools, according to smallbusiness.com. That means you’re in the minority if you’re not taking advantage of all the digital tools and creating an integrated digital marketing strategy. This also means that potential customers who head online are learning about your competition instead of you. Sure you have a website and maybe even a blog. But are they mobile optimized? In 2015, over 50% consumers performed their local searches via mobile devices, a figure that has been increasing ever since. A mobile optimized site is now included in Google’s ranking factor, it is expected that in the future this may become the main ranking factor – so if you want to stay ahead and keep your spot on Google’s first page, having a mobile friendly page is so important. Technology is eventually going to force you into the digital game. Search is already becoming a big part of the shopping experience. The proliferation of technology is giving consumers more avenues for research and consumption. Anyone who stays offline is going to miss a big piece of the pie. Small businesses face a massive challenge when it comes to marketing their business. Let’s face it: the internet has changed the way the world buys and sells information. The goal is no longer selling a product but rather making a meaningful connection, and creating a community around your brand. Consumers will do anything in their power to block, skip and avoid disruptive advertising, with eMarketer predicting there will be a 24% increase in consumers downloading ad blocking software in 2018. Ad blocking is paving the way for the creations of organic, natural touchpoints to reach consumers – giving influencers a platform to work with brands. What used to be a matter of identifying needs and communicating benefits now requires us to build immersive experiences that engage consumers. Today, effective promotional campaigns are less likely to lead to a sale and more likely to result in an internet search, where consumers’ behaviour can be tracked and then retargeted by competitors. Successful brands are becoming platforms and need to do more than just drive consumers to a purchase, they have to inspire them to participate. Your marketing strategy is the foundation for creating awareness, generating interest, closing new sales and continuing customer engagement. Your marketing strategy guides your company culture, your products and services mix and you’re pricing. 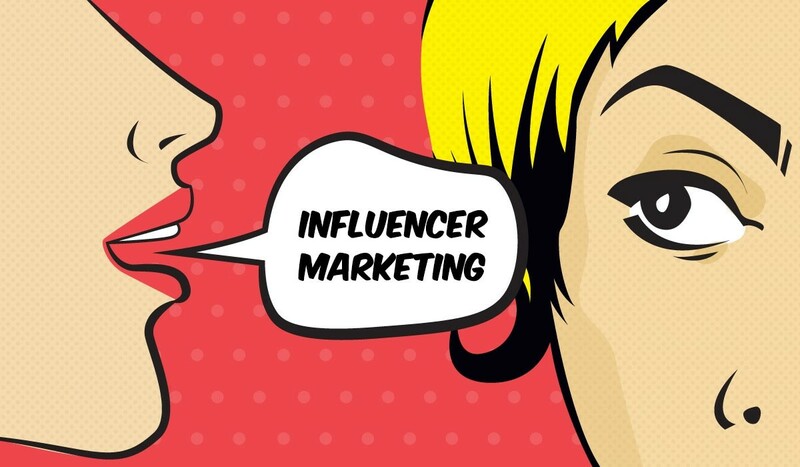 Influencers marketing can be defined as a form of marketing that identifies and targets individuals with influencer over potential buyers. In terms of small businesses, they thrive through meaningful relationship with customers, and influencers could be a good option to add to their marketing mix. Word of mouth marketing is the oldest and most valuable way to convince people to buy a product or a service. Being encouraged and reassured by a trusted source has more value than any sort of advertising. Social media influencers have a proven rapport with their followers, easily affecting the buying behaviours of those who subscribe to their feeds. Influencer marketing works for three reasons, it relies on thrust; it penetrates a niche and it can be very cost-effective. Their followers trust their judgement on products and services, a recommendation from an influencer can prove to be extremely beneficial to small business, at a lower cost than many other marketing campaign. Traditional disruptive marketing practices are becoming less and less popular as the goal for brands has shifted from selling a product to creating a meaningful connection with the customer. Brands are now creating relevant and useful content to help customers and potential customers solve issues they may have. Creating relevant content means your prospects are more informed and it’s easier for your company to have a meaningful conversation with them. Your quality of content has everything to do with the person reading it –the quality of your content is extremely important, creating content for the sake of having it on your site is not a good strategy. Your content helps attract your reader, educate them, and exchange some information or a special offer for their personal information. Content marketing means the buyer is the expert and the one proactively reaching out to brands and businesses for help, they have done the research before they have reached out to you meaning that they have narrowed down their decision, 81% of consumers researched online before stepping foot in the store. Increase brand awareness – frequently publishing content will create exposure for you brand, if you’re creating valuable content chances are that your readers will return to your site, thereby becoming more familiar with your brand. Build trust – Quality content that is beneficial to your readers will in turn build a trust within your network of customer and potential customers. By creating content that is valuable to your customers you will build trust and loyalty as you’re creating a meaning connection with your audience. If your audience don’t trust your content it will be impossible to get them to engage with your brand – less engagement = less conversions. Building brand awareness and trust through content marketing can drive results for small businesses, it’s easy to keep things fresh and sharable content is proven to bring traffic through your doors. The move into 2018 also comes with a shift in digital marketing. New trends are entering the marketplace and your company needs to pay attention or you may be forced by the wayside. With the need to become more visible and reach more customers, the digital marketing of tomorrow offers advancements in emerging technologies as consumers demand a more integrated experience. – As our mobile devices become more powerful and social media apps better integrate with AR (augmented reality), brands will more than likely us AR to netter engage with consumers. For example, using your location, brands could trigger sponsored AR content, which can only be accessed at that spot, at that time. Pokémon Go was the pioneer with this idea, and I feel we may see Instagram and Facebook integrating this tech into its platform soon. – Data-driven marketing is a powerful tool, but how that data translates to customer journey will be paramount in digital marketing success in 2018. Strive first to use data to know where your consumers will be on every step of their purchasing journey, learn what appeals to them, and design your marketing to touch them all along their journey. – Video is becoming the most popular and influential form of digital content for business today and if done right, it can have a very positive impact on your business. As our attention spans decrease, marketers are heavily relying more and more on creating video content to boost search engine ranking, increase engagement and website traffic rates. Google says that 20% of its mobile queries are voice searches, and that number is only going to increase as consumers get used to asking Alexa, Siri and other smart devices for insights on what to buy. Marketers need to prepare by creating content that captures these types of searches, and advertising in non-traditional places. Expect to see a lot more videos from Sendmode in 2018. – Historically, SEO landing pages were large blocks of text, which were meant to satisfy the search algorithms. We are seeing more SEO landing pages with advanced design elements. Now that Google is favouring user experience more, marketers can no longer expect these text-heavy pages to rank. People only read about 20% of a page, so use design elements to choose that 20% and guide the visitor. In the modern world, flawless design and functionality of digital assets – including websites, social media content and marketing materials – it is essential to keep customers engaged. B2B Marketing – Is it different? Yes – reaching out to business customers requires a much different approach than reaching out to the average consumer. It goes without saying, then, that digital marketing in the B2B space is also different than B2C digital marketing. The tools are the same, but how you use them is much different and for some reason B2B companies have been slower to adopt new media than B2C companies. Over the years we have incorporated many of the above into our digital marketing strategy in a bid to find what works well for us. Digital marketing can, at times, be frustrating and we’ve learned that the same strategy may not work for ever company, you have to find what works best for you and your customers. What does SMS Marketing Cost? ?